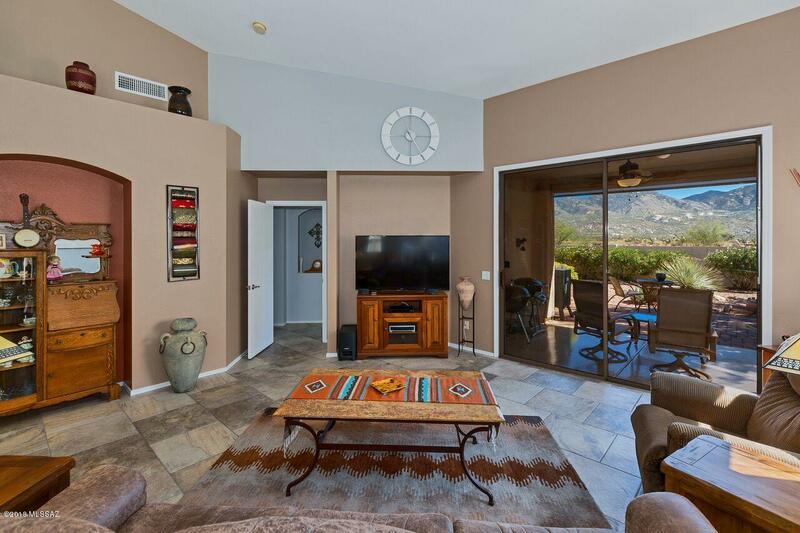 Beautiful San Remo Villa with Stunning Unobstructed Mountain Views! Popular open floor plan. Tile flooring throughout. Beautifully updated master bath and guest bath. Wireless programmable thermostat. 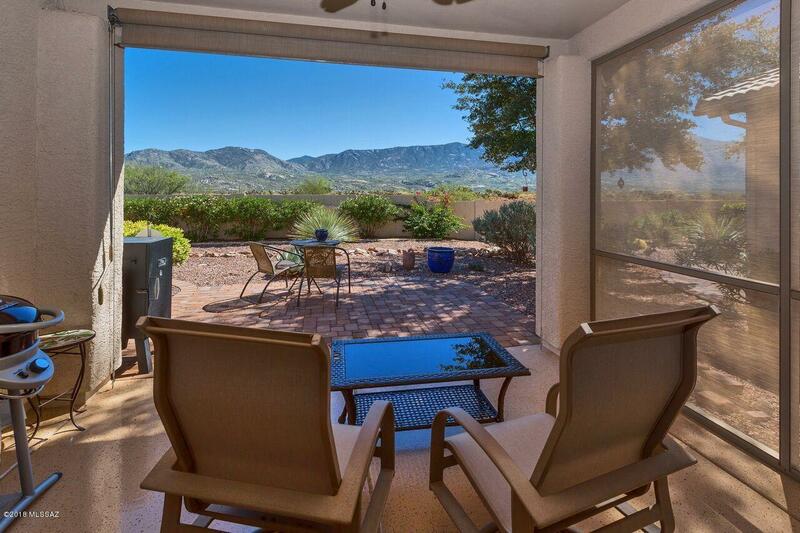 Enjoy breath-taking views from both inside the Villa and outside on the patio. Granite kitchen counters w/black appliances. 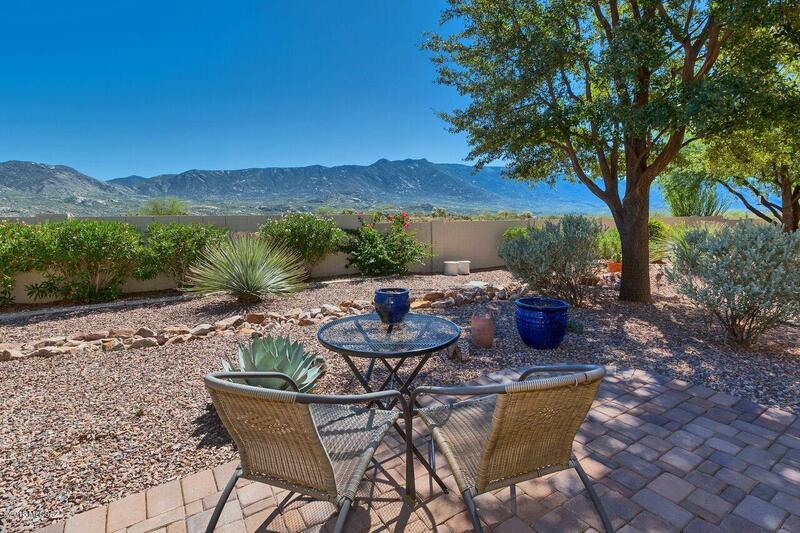 Enjoy a cup of coffee on your back patio while watching the sunrise or enjoy a glass of wine while watching the mountain change colors at sunset. Back patio features an epoxy coated floor, extended paved patio & roll down shade. 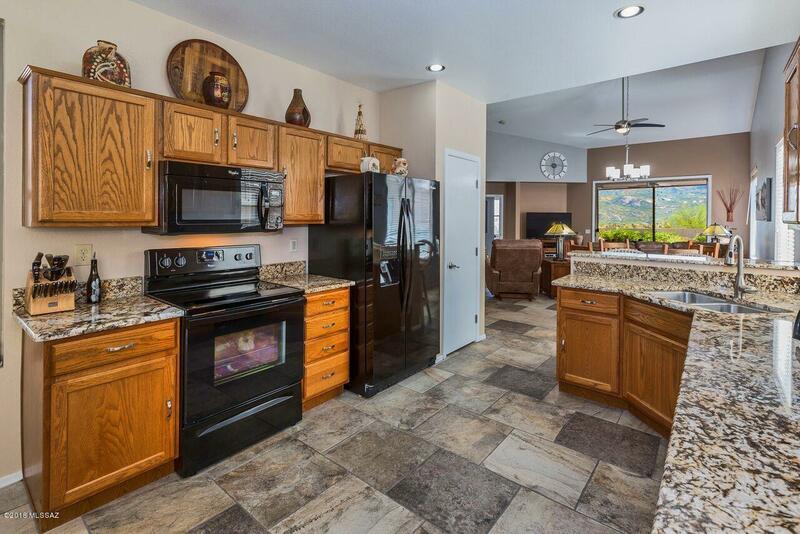 Walking distance or a short golf cart ride to the SaddleBrooke HOA 2 Amenities. This villa has it all!